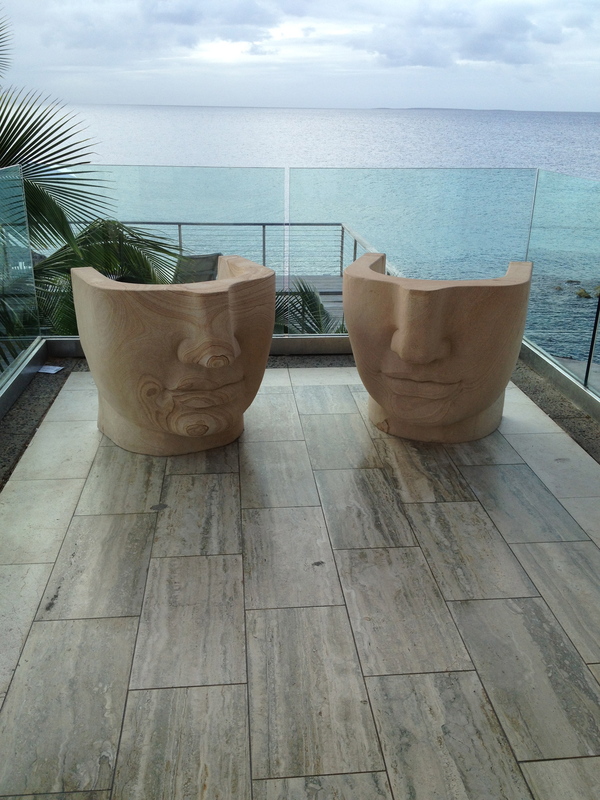 How funky are these chairs? I am a big fan of Kelly Wearstler‘s commercial work, yet the Viceroy in Anguilla took me by surprise. A few years ago I met clients for a drink at the bar. At first, when I walked in, the décor seemed so “uncaribbean” to me. Then I walked around. It IS very Caribbean. Wearstler’s use of natural materials, her color palette, and the subtle nod to more tradition Caribbean design makes the Viceroy one my favorite hotel spaces. This hotel is huge and could easily feel very corporate (thinking of a certain hotel on the Dutch side of St. Maarten that ruined one of the best beaches on the island). Instead it’s unique and jaw dropping gorgeous. Not a bad place to meet for drinks, especially with a locals’ discount. I have more meetings this weekend about my Caribbean project. It’s a long trip from Europe but so worth it!